December quarter was in line and reported a healthy growth in the US region. Focus in 2019-20 will be to integrate recent acquisitions. Performance of these acquisitions could drive a rerating. Big beat on subscriptions, advertisement revenues and movies. Growing focus on SunNxt. Management confident of breaking even in two years. Stock inexpensive at a 30% discount to five-year average. Margin missed in December quarter; Volume-led growth focus to continue. City-specific approach to expand in West and South. Catalysts: Kolkata region growth and volume/realisation growth. Negatives: rising input prices, difficulty in product price hikes. Recent commentary from USL, Diageo and Radico Khaitan points to uncertainty ahead. Stress on state fiscal adds to further risks of higher taxation on liquor. 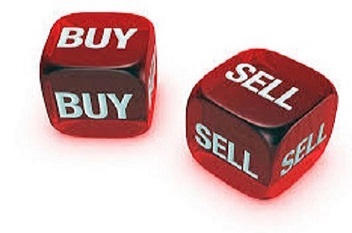 CLSA maintained ‘Buy’ on Gujarat Gas ; cut TP to Rs150 from Rs156. Big beat driven by margin surprise. Soft LNG price is a tailwind for 2019. Weaker exports and poll-related infra award slowdown to impact gross margins. Turning cautious on weak export outlook. Revival in infra awarding activity is a key upside risk. Net profit hit by forex losses. Unchanged volume guidance somewhat allays demand concerns. Expect healthy RoEs and if volumes recover stock could rerate. Management expects normalization in India business in coming quarters. Mid-term margin outlook of 18% seem to indicate gradual improvement. Strong refining and lower inventory loss drive December quarter’s earnings beat estimates. Marketing segment sees market share losses in key fuels. Weak benchmark GRMs and upcoming elections are headwinds.